There Is No Safe Level for Dioxins. For certain effects, including subtle behavioral impacts, a “no effect level” has yet to be established. In plain English this epa-speak translates into: There Is No Safe Level for Dioxins. Levels where effects are detectable in humans is considerably smaller than previously estimated before 2004. In plain English this epa-speak translates into: The EPA is saying that current legal standards for 'safe dioxins' are a farce, and the measurements are far too expensive so they are not done except for political spin. Several factors suggest a need to further evaluate the impact of these chemicals on humans at or near current background levels. In plain English this epa-speak translates into: George Bush's EPA Directors have told the EPA Scientists to shut up or be fired. Any increase in dioxins will make people sick. 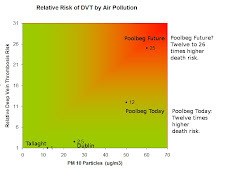 EPA estimates that the amount of dioxin found in the tissues of the general human population closely approaches the levels at which adverse effects might be expected to occur. The Cancer Risk Is Now Ten Times Higher! This range for cancer risk indicates an about 10-fold higher chance than estimated in EPA’s earlier (1994) draft of this reassessment. Fetuses, infants, and children may be more sensitive to dioxin exposure because of their rapid growth and development. It is not known if the children in the general population are experiencing adverse effects from dioxin. Information Sheet 2: Dioxin Reassessment, Scientific Highlights, Page 4. Be aware that the Bush Administration has fired EPA personnel for being honest - so expect obfuscation in EPA reports. 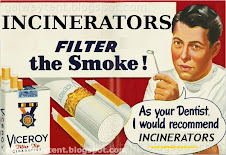 The incineration industry in the USA and in Ireland, including Covanta (USA, Poolbeg & Rathcoole), has hired senior US and Irish EPA employees, so it’s quite possible both the US EPA and the Irish EPA are compromised. There is a possibility that EPA-Ireland is totally honest and is not utterly compromised as stated by the Green Party of Ireland's Environment Minister. It is also possible the revolving doors at director level between EPA-Ireland, Indaver, Covanta/Energy Answers and “Independent Consultants” have no effect whatsoever. However for the flying pigs transporting dioxins a “no effect level” has yet to be established.